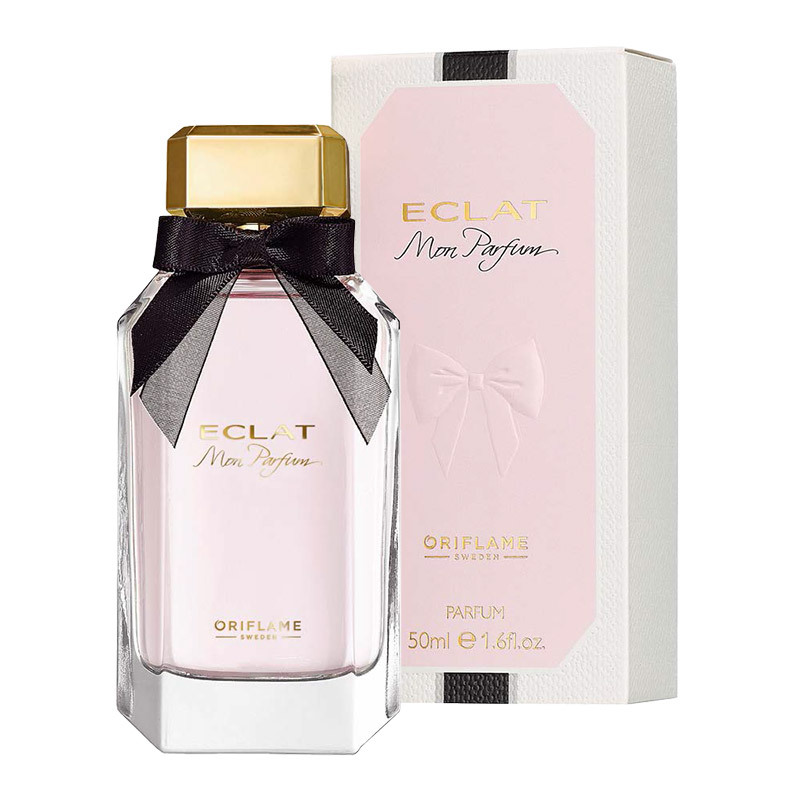 It is with pride that Oriflame introduces yet another exclusive Parfum in the Eclat – Eclat Mon Parfum fragrance collection. Inspired by the refinement and sophistication of Paris, with very special ingredients. There are two very special ingredients that make Eclat Mon Parfum a truly extraordinary aroma. They are the Boudoir DeLaire Boudoir chord and the White Lily notes. By modernizing the exclusive DeLaire chord, our Master Perfumer has highlighted the best notes of the rare flower, White Lily. Like the Delaire chord, White Lily is one of the most expensive ingredients, and one of the most iconic and prestigious flowers in the perfumery. As the name suggests, Eclat Mon Parfum is the most premium form of the fragrance – the Parfum . There are different types of fragrances, one with different concentrations of essences. The higher the concentration, the more quality the fragrance will have and the longer it will last. The Boudoir Delaire Chord is the main note of Eclat Mon Parfum. Obtained from one of the most celebrated fragrance houses in the world, and one of the best kept secrets in the world of fragrances. Exclusive! 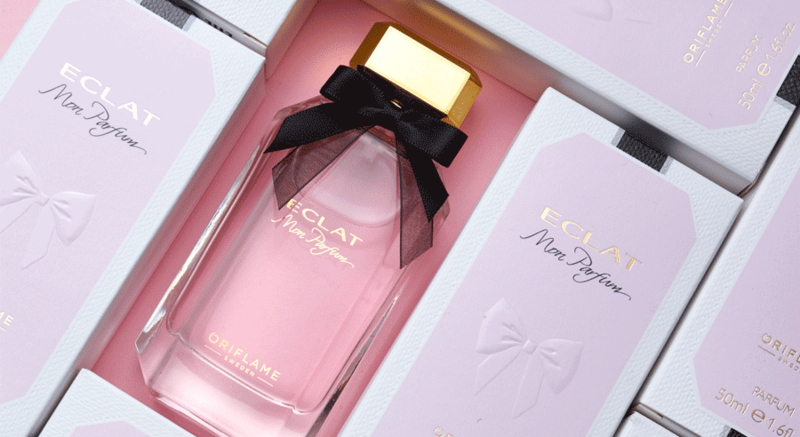 Oriflame was the first in the world to use the Boudoir DeLaire chord to create the Eclat Mon Parfum. What is a chord? A chord is the term given to a special combination of ingredients to create a new fragrance note. Who better to create a fragrance inspired by Parisian elegance than the elegant Parisian Perfumery Master, Emilie Coppermann ? Oriflame talked to her to discover the secrets behind the fragrance she calls “Paris Inside a Vial”. In your opinion, what is Parisian elegance? This is something very difficult to explain to someone who has lived in Paris all his life. I think maybe it’s something we simply learn from our mothers, grandmothers, friends … it’s a sense of style, a way of life, an art de vivre visible even in the small details of everyday life, such as choosing a scarf simple to go to coffee, or use a timeless fragrance. Being a Parisian and a perfumer, this project was a dream. I wanted to capture the perfect image of the most elegant and sophisticated woman with that special Parisian touch. This is “art de vivre”. As a perfumer, I was able to use two of the most precious and expensive perfumery ingredients – the DeLaire chord and the White Lily. Working with the DeLaire chord is a rare privilege. The DeLaire fragrance house is the birthplace of modern perfumery – creating new combinations of special notes, or “chords”, over 140 years. Until now, these chords were reserved only for the most iconic and premium fragrance brands, such as Chanel and Guerlain. And the White Lily is also a real jewel in the perfumery. One of the rarest ingredients you can find, as a material used in haute couture. Known as the “golden flower of perfumery”. I loved working with an ingredient with this level of excellence. I love it! I’m overjoyed. 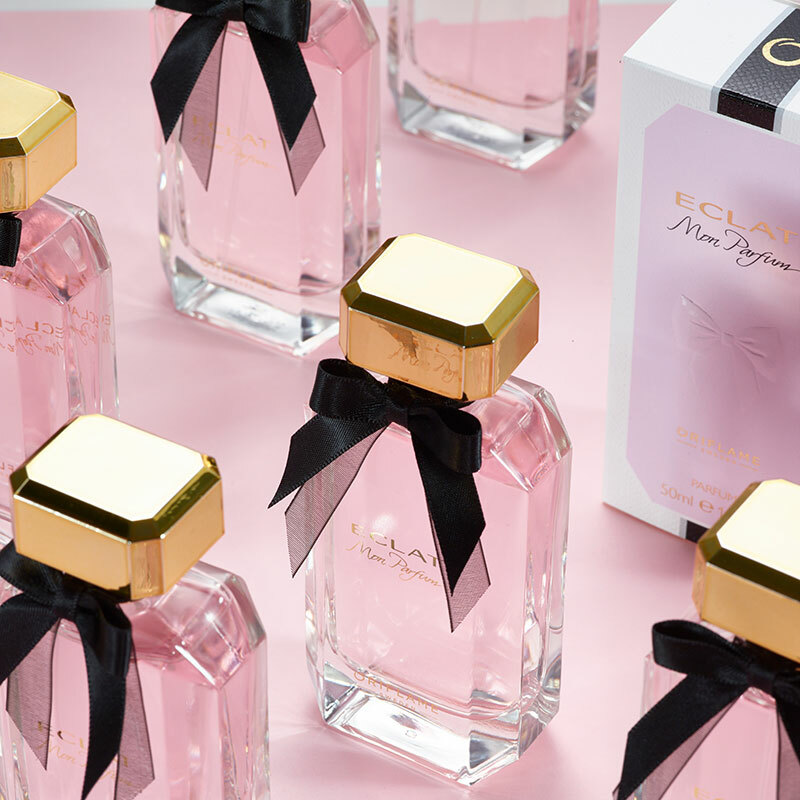 Eclat Mon Parfum is the most premium type of parfum you can find – a “parfum”. And I feel that I created something very special: a modern and timeless aroma at the same time. By modernizing the incredible DeLaire chord, I was able to highlight the best notes of the wonderful White Lily. The result is a sophisticated scent – as one of the most elegant Parisian experiences. In fact, I would say that Eclat Mon Parfum is, for me, Paris inside a bottle. The most exquisite expression of French elegance and style. A radiant and sophisticated floral fragrance with the exclusive DeLaire chord, inspired by the noble White Iris Flower. 50 ml.